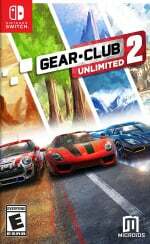 Gear.Club Unlimited 2 is speeding onto Nintendo Switch tomorrow (4th December) and a brand new trailer has arrived to celebrate. With a vast area to explore in your car of choice, Gear.Club Unlimited 2 promises "more than 1800 miles of tracks, on the mountainside, through a nature park, in the middle of the desert or along the coast, as well as 250 races, including championships, missions and challenges". There are several types of races for players to experience - asphalt, icy conditions or rally (sand, dirt and snowy roads) - so getting to grips with your driving skills will be key to victory. Of course, as you can see in the trailer above, your work back in the garage will also make a difference here. Players can customise and personalise their vehicles thanks to seven different workshops available in the Performance Shop; guided by a workshop manager, you'll have to consider the characteristics of your materials and the laws of physics to create balanced cars that offer a realistic driving experience. As well as the single-player mode, you can also jump into an online multiplayer mode where you can create a Club and take part in asynchronous races against ghosts. Interestingly, this mode doesn't require a subscription to Nintendo Switch Online. You can also compete against up to three friends in local split-screen and new functionalities, including synchronous races, will be added to the multiplayer portion of the game in the coming weeks. As noted above, the game launches tomorrow both physically and digitally on Nintendo Switch. Will you be racing to the shops to buy a copy? Yeah buddy, will be picking my copy up in the morning. Enjoyed the first one for what it was and they seem to have made a number of improvements across the board. Really looking forward to it! I really like the look of this. I want to see how it looks and plays on Switch first, but assuming it's all good, I'm definitely down for this! @ryancraddock will there be a review tomorrow? @Kanbei We're hoping to have a review for you soon but we're not sure exactly when this will be just yet! Interested - love racing games. Prefer this above smash, Nintendo and the rest of the internet overloaded me so much with Smash this and Smash that news that I'm sick of it. Smash can wait a month, when all settles down. Why are people in the comments comparing this game to Smash? Apples and oranges. It does look better.....need racing game.....must wait for reviews.....must not give in to temptation......I'm weak though so hurry up with review. @redd214 Please let me know what you think as someone who also came from playing the first. Looks like a major glow up from the first game. I’d love a demo. Traded my Gear.Club 1 in hopes that this one would be better. The 1st one burned me. I’ll wait for reviews this time. @XenoKidRex Yeah there must be quite the overlap there what with how similar they are. I love that split screen feature. If it has really improved a lot the first iteration, it will come home for sure! V-Rally 4 on Switch Pre-Order are already on sale at $35 on Amazon and Walmart. This will be in the $30s soon after release also, just wait. @Agramonte Its cheaper in the states? Its full Triple AAA price over here in UK. That's really put me off this title. First one was alright but felt grossly overpriced and that was over half the price they want for this. I want a good racing game and if they can prove they've put triple AAA production to ask for such a high price (most Triple AAA's don't even deserve that), I may lay some money down. Til then will remain highly skeptical. I will be getting this at some point and I think it's clear that the Developer has went through the whole of the first game and made the second one an improvement in every aspect. All I really want though is an F1 game please! I'll pick it up for sure. Quite enjoyed the first one although it wasn't all that varied, had a mobile vibe and a quite high price. This seem to improve a lot and might be worth its price, especially for a racing fan. Then VRally 4 is out next week... oh happy days! @XenoShaun Yeah, Walmart, GameStop, Amazon, Target all listing it at 49.99 here. Not worth the risk at 49.99 either in my book. They need to release a demo. I love racing games, but this costs more than Forza Horizon 4! Maybe if it goes on a big sale or gets really good reviews. All I want to know is, is it possible to use a proper steering wheel via an adapter with this, effectively, because if I find out that is the case, it's bought. Got burnt on the first game, digitally. Going to wait for a sale. Not going to purchase at full price. @Agramonte It's $59.99 on the eShop for me. It looks like this racer goes to the direction of the Forza Horizon series which is obviously a good thing (if done right). But for it to cost the same, it's a joke. It's a 2GB game. Even V-Rally 4 will be multiple times bigger than that. And the Forza Horizons, which are the industry leading racers, are of course 50+ GBs. You just can't have similar visuals in such a small size. Outside of MK there aren't good racers on Switch, which is disappointing. I look at this and think I should fire up Most Wanted U on my WiiU. I'll probably be happier that way. Still, I hope devs keep putting games on the system, I'd love an honest to goodness good racer on Switch. Since NFS: MWU there hasn't been one, and I'm not confident there was one at all before it. Burnout Paradise where are you? I know, that's not the way you want to play but I think it's a blast that way. @Spoony_Tech the first game wasn't that bad. The car models were as good as the Asphalt series. my biggest issue was the tracks. From the gameplay footage I've seen, The tracks in the second game are vastly improved. I really want to like this game. 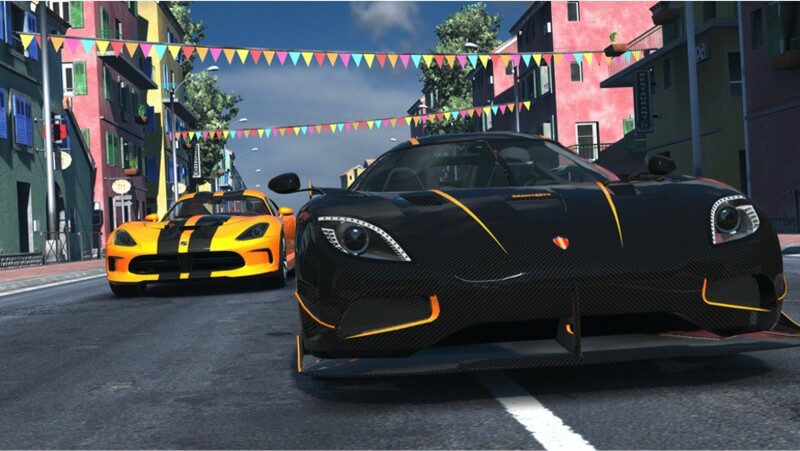 If they can manage to add proper online racing then it's a high chance I'll buy it just to support the developers. Racing game? Horizon Chase Turbo is out right now! Wait... Is this an open world racing game like Forza on the Switch or is it just enough tracks to have 1800 miles of content? If this is an open world racer then this is a day one buy no matter how poorly the first one performed. Firstly looks exactly like the first one? Thirdly what's with that price tag? I think the game looks pretty good just not $60 good. If it was a $20 or $30 budget title it would have been an instant buy for me, at $40 I would have strongly considered it, but at $60 it is the same price I paid for Forza Horizon 4 and it just isn't even near that quality. Heck I just recently paid $30 for F1 2018 and that is definitely a higher quality title, I mean I got it on sale but still the fact remains that is what I paid. @LightyKD I agree with that and also think this one looks better in almost every way. Still there is options coming unlike last year where this was the only one. Grid was a game I enjoyed fully way back when and I know I will like that. Plus V-Rally just might be the game that I have to get. I'm just gald a Nintendo System is finally getting some racing option a bit closer to sim then ever! Looks good, adding to my wishlist. @Rayquaza2510 Yeah I am a little burnt out on Nintendo because Pokemon was super disappointing and I feel a bit ripped because I bought it digital.. Skipping smash until I see some crazy deal on it. @BANJO I have to look this up to confirm but you just stopped be from purchasing it for now. @BANJO Load times won't bother me but when I searched for it on Metacritic I saw what might look like a lot of dlc. Not sure if it was meant for the last game or upcoming for this one. @Spoony_Tech I believe this is to get DLC, the last had alot of DLC I can remember. @BANJO I either don't remember or never checked even once for dlc. I don't know how I feel about releasing a game alongside "more features to be added later". On one hand, yay, new features. That's good. But on the other hand, why not finish the game and then release a finished product? When you take something like, Splatoon 2, we got a fully featured game at launch. Additional weapons and maps were added, but all the core features were there. And like a year later we got a paid DLC that not a lot of people expected. But imagine if they had released it with only Turf war and single player? Then released things like ranked and salmon run later on. I doubt the game would have been such a success in that case. It still has a mobile game vibe for me for some reason. Will wait for a review and a price drop. The only genre missing from my Switch library is a racing sim/arcade racing game so i'm hoping this will kind of fill that void. What’s worries me is that the game is only 3.0GB in size... That’s not a lot for what they promise. Upcoming V4 Rally is 13GB in size... Yet V4 developer Bigben Interactive is known for the biggest racing flops on Switch like Snow Moto Racing Freedom. Their Tennis World Tour is also a very bad game so I’m really not sure here... Waiting for reviews. Just curious, how do people handle throttle on the switch? Since there aren't analogue triggers is something else used for throttle or do you need to use a gamecube controller? I like racing games but I'm not sure if i'm going to be happy with the controls. @Spoony_Tech sorry for the delay. So far feels like more of a 1.5 than a 2 if that makes sense. Basically just a repolishing of the first without any major changes. Obviously visuals and sound are much improved, track design is much more creative, cleaner ui, bit less of a grind. Load times are surprisingly long on occasion, sure that can be fixed. Had some bad framerate drops when playing split screen also but other than that runs smoothly. Overall honestly it's more of the same wrapped up in a much nicer package. It's obviously no Forza but I'm enjoying it so far, great fit for the switch! @redd214 Thanks for the reply. Think I may just hold off then and bide my time till Grid and V-Rally come out. I was really hoping for a bit more out of this but if it's as if you say then it's more of the same just prettier with better track design. I may wait for a sale if those other 2 are going to take a while to come out.